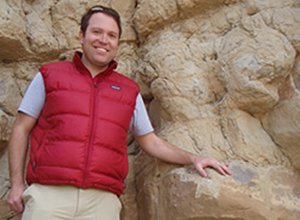 Earth scientists in the College of Arts and Sciences are studying the effects of seasonal precipitation and runoff, as well as temperature on fossil shells found on Seymour Island’s La Meseta Formation, off the coast of the Antarctic Peninsula. Earth scientists in the College of Arts and Sciences are looking to fossil records for clues to future polar environmental conditions. Linda Ivany, Scott Samson, Zunli Lu and Christopher Junium, all professors in the Department of Earth Sciences, have been awarded a two-year, $312,182 grant from the National Science Foundation (NSF) to study the relationship between elevated temperatures and precipitation in Antarctica tens of millions of years ago. One of the department’s highest-funded collaborative projects to date, it will enable the quartet to develop new and detailed paleoclimate records about the past in hopes of more accurately predicting global climate patterns. Driving their work is the hypothesis that near-monsoonal conditions occurred in the Earth’s polar regions millions of years ago, when oceans were considerably warmer. 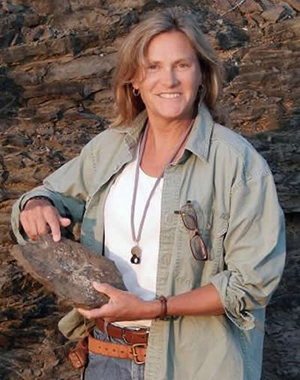 Ivany and her colleagues will test their hypothesis using the chemistry of fossil shells—specifically, shallow marine bivalves. A monsoon is a major wind system, often accompanied by excessive precipitation, that reverses its direction approximately every six months. “That’s why we need to get down to seasonal resolution, rather than the long-term averages that most paleoclimatologists deal with,” she adds. The Late Eocene was a unique chapter in the planet’s history. Following a period of extreme warmth, due to high levels of carbon dioxide in the atmosphere, the Late Eocene witnessed gradually cooler, dryer conditions. A shallow circumpolar current, brought on by the northward movement of South America, likely led to Antarctica’s isolation. The situation was exacerbated by diminishing levels of carbon dioxide, resulting in cooler temperatures and the eventual formation of the South Polar Ice Cap. He and Ivany believe that Antarctica may help them understand how the Earth’s climate system responds to increased carbon dioxide. 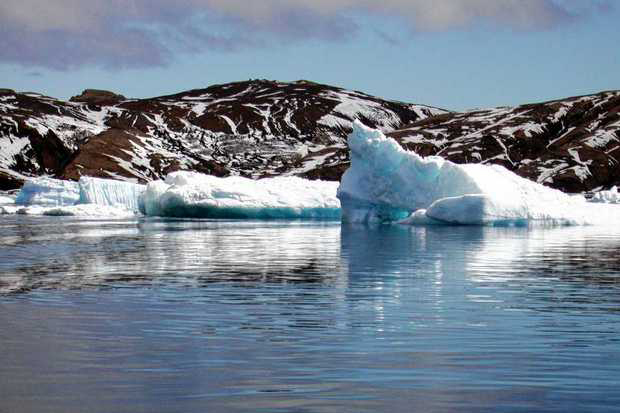 Hence, their team is studying the effects of seasonal precipitation and runoff, as well as temperature on fossil shells found on Seymour Island’s La Meseta Formation, off the coast of the Antarctic Peninsula. Unique to their work is an attempt to resolve differences in temperature and rainfall, as preserved in 40-million-year-old fossils. By studying annual growth rings in the shells of bivalve mollusks, Syracuse researchers hope to estimate changes in temperature and salinity that occurred seasonally during their lifetimes. One of Ivany’s Ph.D. students, Emily Judd, will examine the chemistry of shells formed during the winters and summers, with an eye toward assessing conditions during ancient warm-climate summers. In addition to reconstructing ancient climate, Syracuse researchers hope to use the chemical composition of fossils to clarify the timing of climate change. 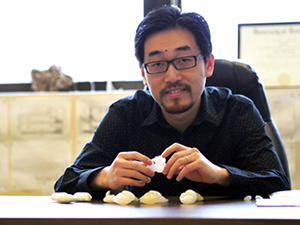 Samson, a geochemist who is also the department’s associate chair, says that studying Antarctica’s cooling and drying patterns may shed light on those in other parts of the world. 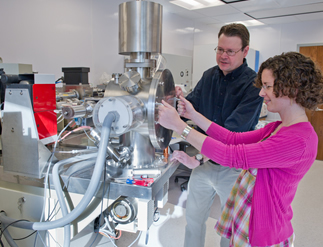 Scott Samson uses a mass spectrometer to determine the age of fossil shells. Strontium is an element similar to calcium, found in seawater and shells. Scientists have determined that, over the past 40 million years, the ocean has contained a unique ratio of two strontium isotopes. (Isotopes are atoms of elements with varying numbers of neutrons.) Because neither isotope decays radioactively, the ratio remains unaltered in marine fossils. Lu is a geochemist also interested in Antarctic sediments. He says that, throughout history, the Earth has fluctuated between two climate states: Greenhouse and Icehouse. Each state lasts for millions of years, but should not be confused with glacial and interglacial periods, which are shorter and exclusive to the Icehouse state. The NSF grant award supports an international team of scholars; the training of multiple graduate students; and a public museum exhibit, designed to educate children about the Earth’s climate.